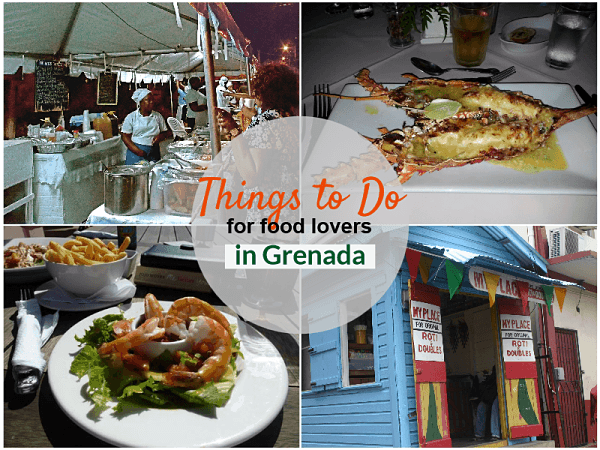 As part of our series on things to do in Grenada, we’re exploring what food lovers need to know in order to get a good taste of the Spice Isle. Currently ranked at No 1 of all restaurants in Grenada on TripAdvisor, the Heights offers a unique experience to savour local Grenadian food. Fortunately, the Heights is located practically next door to Petite Anse Hotel in Sauteurs, so if you’re staying with us you won’t have far to go. All produce is purchased on a daily basis and prepared by chef DJ. Your hostess will be Harriet. All in all it makes for a wonderful experience and you’ll see the same spectacular view but from higher up. .
Insider tip is to book in advance and commit to menu choices. You might want to try the red snapper in Creole sauce. Read more about the Heights. Another favourite and also located in St Patricks is Aggies. Situated just across from Bathway Beach, Aggies is known for specialities such as fried shrimp, grilled shrimp and grilled mahi mahi. If you’re here between April and July, you can eat here whilst you wait for your leather back turtle watching trip to begin at Levera Beach. Aggies is an al fresco experience. Insider tip: try the lobster plantain balls. BB Crabbacks was originally located in Ealing, London but the owner wanted to return to his roots. 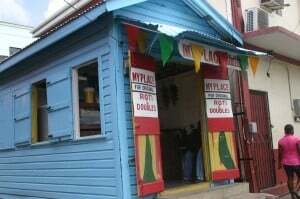 Now located in the Carenage, St George’s – BB is happy to share his cooking skills with locals and tourists alike. You’ll be offered a menu with curried goat, the signature dish crab-backs, king fish and more. If you are lucky enough to have been deep sea fishing, you can even take your catch along with you to BB and he’ll perform some of his culinary expertise on it before serving it up on a plate for you to enjoy. Read more about BB Crabbacks. Vibrant, colourful, noisy and exciting. All words that can be used to describe the hustle and bustle of the produce market in St George’s. It’s a place to learn about what grows on the island. 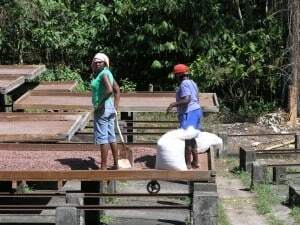 You’ll see the different types of fruits, vegetables, herbs and spices that have been recently picked ready for use by for the local population of Grenada to cook with. Find out how chocolate is made – a big love of every true foody. You can take a tour of the gardens, the cacao processing facility and then sit down to a buffet lunch. Grenada Chocolate Factory products are sold here too so stock up for family and friends. Chocolate has been found to be very good for the body. An island off Chile was found to be consuming up to 5 cups of cocoa/cacao tea (natural hot chocolate drink) on a daily basis and they did not suffer from strokes or heart attacks. Something to keep in mind. Read more about Belmont Estate. Every Friday night Gouyave gets itself ready to celebrate fish. As a fishing village, they certainly know how to bring in the catch and cook it up in a variety of different ways. You’ll find stalls with a range of different fish dishes, loud music and the festivity of a real Caribbean celebration in the village. If you’re staying with us, we can arrange transport to take you there and bring you home so that you can grab a refreshing beer or two if you wish. With Trinidad and Tobago pretty much on our doorstep, it’s no surprise that rotis have made their way here. You can find them all over the island. We serve them daily or you might prefer to sample them in Grenville at the Roti Shop. If you’re a foody, you cannot visit Grenada without going to River Antoine Rum distillery for one of their rum tasting tours. Find out how rum is made, see the original equipment and enjoy the taste of the results. Read more about River Antoine. The fresh produce in Grenada is remarkable. It really IS fresh. On a relatively small and tropical island, there are no facilities to store food for very long, so you’ll get it almost straight off the tree. Try fresh juices such as soursop, avocado and starfruit. Here at Petite Anse Hotel we grow much of our own produce or we will source it locally from known farmers. On rarer occasions, we will venture up to St Georges and take our pick of fresh produce from the market. Cacao tea (mmm, you’re going to like this one) and other local specialities such as the national dish of oil down, fish, bakes, roti and more all need to be tried. You’ll recognise much of the food available but if you really want to ‘do’ local then try callalou soup, pumpkin soup, bull-foot soup, and pig souse (pig knuckles in a soup). Ok you might have to brave for the last two if you’re not from the Caribbean (and we cannot guarantee that you’ll like it), but the message here is to try things that you haven’t before. You never know what you might come across. 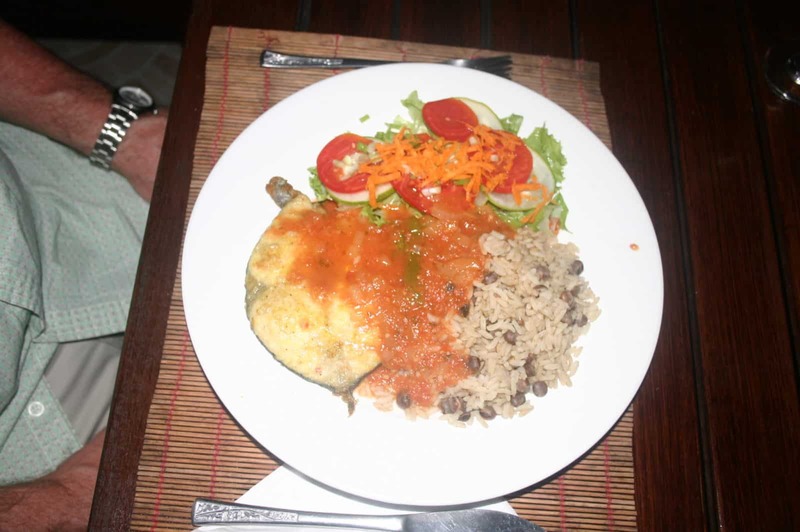 Whatever your preference when it comes to food, you’re sure to find something exciting and new to you in Grenada. Let us know how you get on.